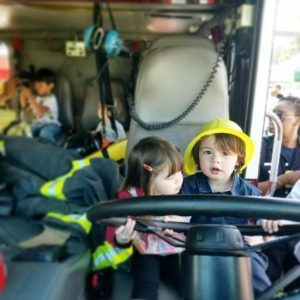 Touch-a-Truck is a family-friendly event meant to allow children to explore, climb, and TOUCH vehicles of all shapes and sizes. From exploring cars and trucks, to getting creative at the arts and crafts table and playing with giant bubbles, the wide variety of children’s activities offered at this JLSF event will keep everyone in the family busy and active. Food trucks are also onsite offering lunch and snacks for purchase. Not only is Touch-a-Truck a fun and exciting activity for all Bay Area families, but proceeds go to support our community partnerships. To learn more about the Touch-a-Truck event, please click here. 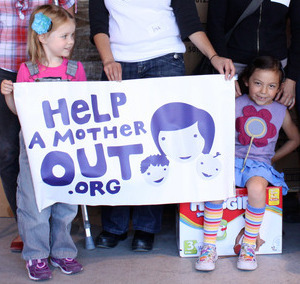 Annually since the 2015-2016 JLSF league year, JLSF’s Advocacy Committee has held a Diaper Drive in support of Help a Mother Out, a nonprofit organization that provides diapers, raises awareness, and advocates for long-term change in the social safety net. Our contribution helps bolster the social and emotional health of young women and babies by creating stability and teaching self-sufficiency. 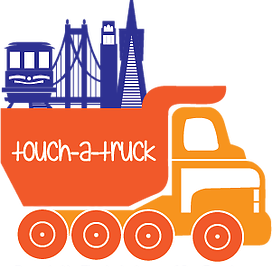 Touch-A-Truck – Drop off diapers at our collection bin at our annual Touch-a-Truck event. For more information about JLSF’s Diaper Drive, please click here. Each year, the JLSF partners with the Stonestown YMCA for Healthy Kids Day. Families are invited to come out to a fun and action-packed street fair in celebration of Healthy Kids Day at the Stonestown YMCA, where they will find booths with great local vendors and merchants. From Zumba dancing to gardening projects, there’s something for everyone at Healthy Kids Day – including tasty, healthy snacks and free lunch for children. Healthy Kids Day is a national YMCA initiative where youth and their families achieve greater health and well-being through participation in activities and educational programming for the entire family. The JLSF and National AIDS Memorial Grove host a day of service each year to showcase the impact the JLSF has when we come together to support a cause. This unique day is put-on by JLSF’s Community Events Outreach committee and the National AIDS Memorial Grove to showcase JLSF volunteerism for a very special cause. 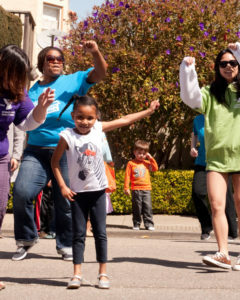 With more than a century of involvement in the community, the JLSF has been working to support health-related organizations in the San Francisco Bay Area. We aim to 100 JLSF members together and generate awareness to the National AIDS Memorial Grove. 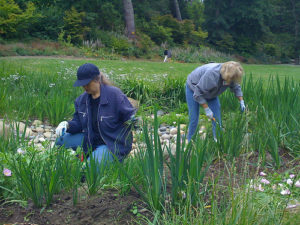 JLSF volunteers help maintain the Grove in preparation for its annual gala. The Grove is a living tribute to all whose lives have been impacted by AIDS. Its mission is to provide a healing sanctuary, to increase awareness for, and to promote learning and understanding of, the human tragedy of the AIDS pandemic. In addition to these events, the JLSF maintains a Done in a Day (DIAD) committee that partners with nonprofit organizations throughout the San Francisco Bay Area to provide JLSF volunteers for the activities of these nonprofits. DIAD volunteers provide support for single day events or short-term projects involving our current community partners and other organizations that operate in the JLSF focus area. More information about applying for DIAD volunteers can be found here.